"that the chapel will be built on rock, with churchyard to the south, with sufficient depth of soil for the departure of the dead"
Having recorded on this website various details about the Rothley Cemetery, Parish and Baptist burial grounds, the Roman villa site and the graves found at The Grange the members of the Rothley Heritage Trust decided that this would all make for a local publication 'with a difference'. Combined with academic research it makes for fascinating reading and a very important part of any village history. Why was this book called The Departure of the Dead? This Introduction explains all. Brian is the Archaeological Heritage Warden for Rothley and author of the publication The Rothley Roman Villa. Looking at Rothley's prehistoric settlement evidence, Saxon Burial site discovered during the building of the Great Central Railway and the efforts made by William Trueman Tucker to record the information before destruction. Life in the medieval period was precarious with no effective cures for diseases, slow and painful deaths, accidents with broken limbs, starvation and cold. Death and burial had to be thought about at an early age. Where to bury the bodies, how to manage the land, what will happen to the spouse and children? What documents have been left to give us an accurate account of how these matters were dealt with? 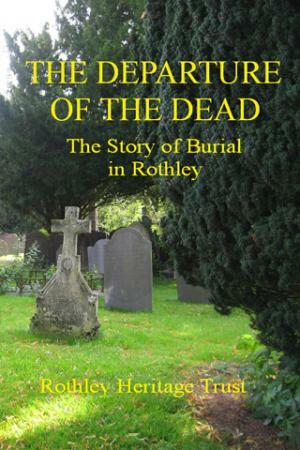 This fascinating chapter gives you an idea of the research that Vanessa did to give us a wealth of information about Rothley, its residents and connections and their death and burial. Elizabeth 1st is responsible for this chapter! How did registration of burials start and how was the information recorded? How could 1,679 bodies be buried in the small area of Rothley Parish Churchyard between 1812 and 1891? 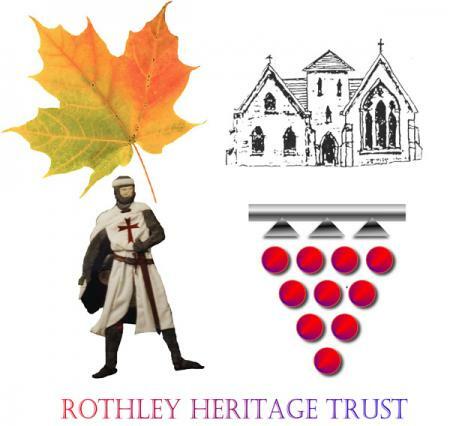 This is the story of Rothley, its graves and tombs, hatchments and plaques and how and why they were recorded. Pressure was growing on space in Rothley Churchyard and the Baptist Churchyard and at a meeting of the Rothley Parish Council on the 15th May 1895 the matter was raised of a new burial ground. It took nine years before the first burial took place at the new cemetery on Mountsorrel Lane and this chapter records how the members of the Parish Council dealt with problems, their correspondence with the Local Government Board in Whitehall, London, drainage, local objections, costs, design, fees, funding and everything that goes with current large projects except that this history in 1895 was handwritten in pen and ink in large books. Transcribing the relevant minutes from the old Rothley Parish Council Minute Books this chapter faithfully works through the actions of the men who gave us this burial ground as we see it one hundred years later. Born in Rothley in 1849 Frank became a joiner like his father and here are family memories of sawdust and shavings leading to the many houses built in Rothley in the early 1900's. Frank won the contract to lay out the cemetery and build the chapel and it is his work that we see today. This chapter is about the early life of Frank and his family and how we can still today see so much of his work in the village. XHTML 1.0 validated. WCAG compliant. Page generated in 0.227 seconds.